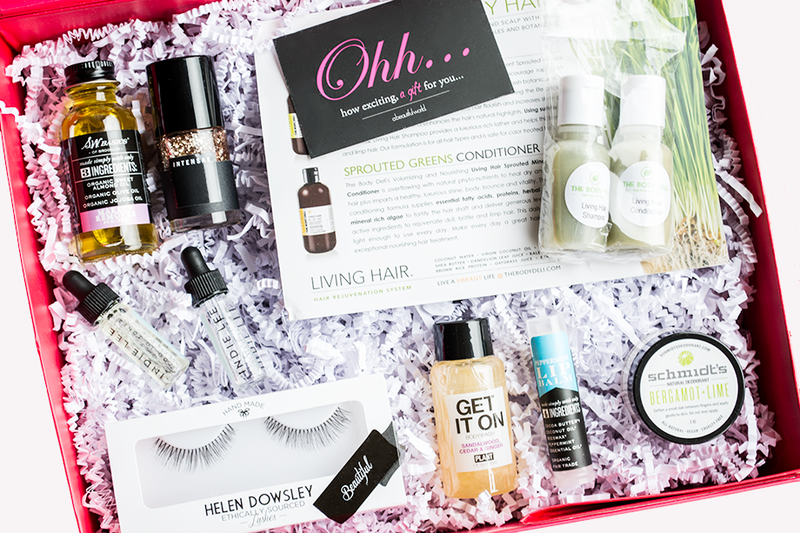 Last week saw the release of the ever anticipated bi-annual limited edition beauty box from abeautifulworld. I've been lucky enough to get my mitts on every single box since they first began back in 2013, so of course I couldn't resist ordering the latest Autumn/Winter box! Each box contains a variation of their best high-performance product picks for the upcoming festive season. The size of the box was quite a bit bigger than previously, but I love the reusable bright pink boxes to use for storage or gifts! I noticed a few comments around the web about the size of the products, but there are actually three full-size products (which are the highlights for me!) and the box is called a "sampler" after all! The products included in my box: S.W. Basics Makeup Remover, INTENSAE "MUSE" Nail Lacquer, The Body Deli Living Hair Shampoo & Conditioner (reviewed here), Indie Lee CoQ-10 Toner & Squalane Facial Oil (reviewed here), Helen Dowsley Ethical Lashes, PLANT Get It On Body Wash, S.W. Basics Peppermint Lip Balm and Schmidt's Bergamot + Lime Deodorant (reviewed here). Although I've tried almost all of these products before, they're all really great products so I'm pleased to have a few minis on hand - perfect for travel! I'm most looking forward to getting festive with the gorgeous gold glittery nail polish and trying out the false eyelashes when True Glue All Natural Lash Adhesive launches at abeautifulworld soon! The value is also fantastic, much more than the £20 cost of the box, and there's also a 10% off discount code too. Unfortunately, these limited edition boxes have completely sold out, but make sure you keep a lookout on abw's Twitter, Facebook and Instagram pages to find out when the S/S box will be available next year! Did you manage to grab abeautifulbox before they sold out? What do you think of the contents? Great box! Such a shame it's sold out! I didn't get one this year as I have enough in my stash but I'll definitely be trying those eyelashes!